You’re Invited to our Holiday Open House! 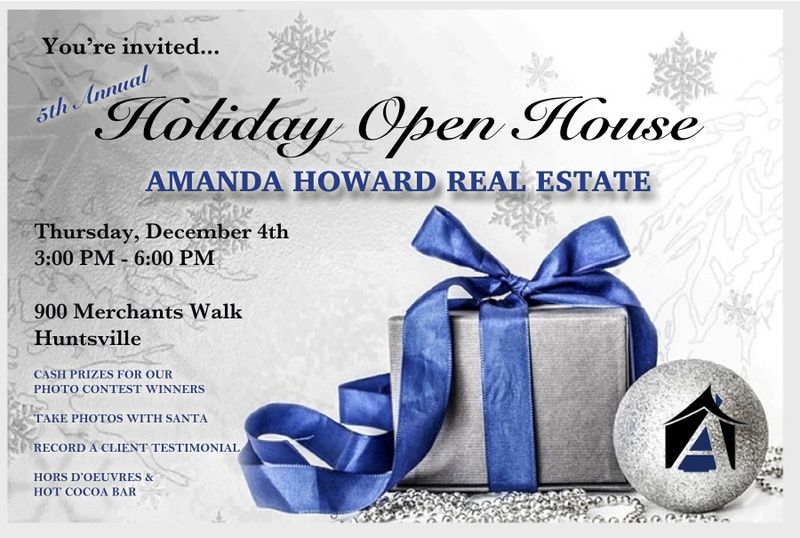 Don’t forget, the CASH prize winners for our Client Photo Contest will be announced at our Holiday Open House. We’ll be accepting entries until Friday, November 28th. So hurry up and send us your entry before it’s too late! Find more details HERE.